The Intercontinental ballistic missile, Topol-M, has blasted off from the Plesetsk’s rocket site soaring through almost all of the country and successfully hitting its target over the Kamchtka peninsula, Russia’s Defense Ministry has said. This video shows how a missile is normally launched. The door to the pit where the missile is kept opens and the rocket rises up into the sky, accompanied by powerful blasts and spurts of flames. “The goal of the launch was to confirm the stability of flight and technical performance of this kind of intercontinental ballistic missile,” a statement published on the Defense Ministry website on Tuesday, January 17, said. 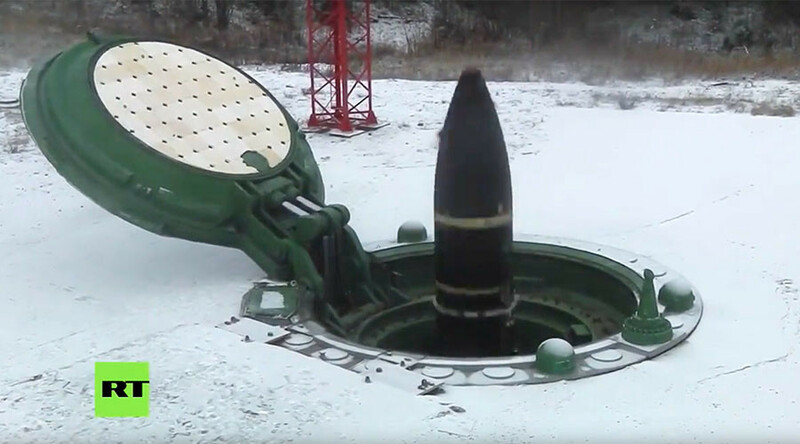 “A training war-head has hit a hypothetical target with high precision at a firing ground at the Kamchatka peninsula,” the statement also said. 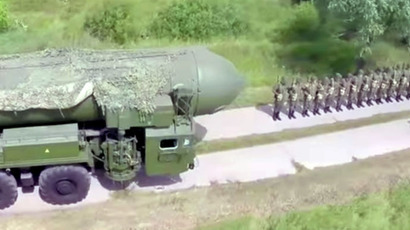 The Russian Topol-M intercontinental ballistic missile, also known as RT-2PM2 or SS-27 “Sickle B”, is one of the most recent missiles of its kind activated by Russia. It’s reported maximum range is about 11,000 kilometers (6,835 miles). Topol-M carries a single warhead with yield of about an 800 kt, but it is also compatible with multiple independently targetable reentry vehicle (MIRV) warheads. Topol-M is capable of carrying four to six warheads along with decoys, according to chief designer Yury Solomonov. The missile is 22.7m long with the body of the first stage having a diameter of 1.9m. At launch, its mass is 47,200kg, including the 1,200kg of payload. It was designed by the Moscow Institute of Thermal Technology, and is built at the Votkinsk Machine Building Plant.